“We found PES Exhibition & Event Solutions extremely professional and a pleasure to work with. The booths were of very high standard and worked as a great asset to our mining conference exhibition. What impressed me the most was that they were very accommodating to our needs, and had a fantastically friendly attitude. If we ever host an exhibition in Brisbane again we will definitely use PES Exhibition & Event Solutions”. The team at PES Exhibition & Event Solutions are always very helpful at every stage of the process. From quoting, to measuring up, bump in & bump out, The Events Centre has always received a professional & friendly service. I can not speak highly enough of the services supplied by PES Exhibition & Event Solutions for our Annual Conference. Maree was of great assistance during the pre-event phase – finding a solution to all our problems and accommodating our every need. She was friendly, professional and efficient in everything we asked of her. The onsite team were also fantastic. Our trade displays were set up quickly and without any hassle. In addition to the displays, the crew even went out of their way to assist us in all our other preparations – providing help and a spare pair of hands wherever they were needed. Our whole setup process was made that much easier, while our delegates and exhibitors were delighted with the modern and professional look that the PES Exhibition & Event Solutions team created. I would highly recommend PES Exhibition & Event Solutions for all your event needs, and look forward to working with them again in the future. Our company has been working with PES Exhibition & Event Solutions on a national level for over 4 years, for the design, manufacture and distribution of all our custom made Tony Ferguson Weightloss booths, which are located in major shopping centres around Australia as well as overseas. We have always found John, Brendan and the team at PES Exhibition & Event Solutions to be extremely accommodating in meeting our needs and our deadlines. Their service is excellent and the custom booths they manufacture for us are of the highest quality with aesthetic appeal and durability being key factors. We would have no hesitation in recommending PES Exhibition & Event Solutions to any company requiring custom made displays or booths. PES Exhibition & Event Solutions helps make your event an Event. 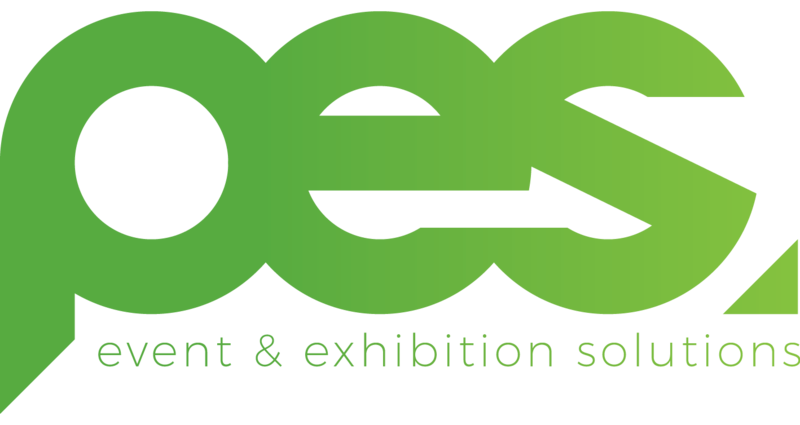 Working with their Foga System we’ve engaged PES Exhibition & Event Solutions for the past 5 years to supply and build exhibition display spaces for our conferences. Held in central city hotels these conference venues often contain an amount of tricky spaces and inflexibility that requires more expert thought and flexibility from your display company. PES Exhibition & Event Solutions provide far more than boxes and signs for display. They become trusted advisors, contributors, ideas generators plus they carry the tools, equipment, muscle and dedication to get the job done. As long as we are eventing, PES Exhibition & Event Solutions continues to be first with our exhibition display needs. PES Exhibition & Event Solutions are a part of the team that make the whole event an Event. James’ Home Services has used PES Exhibition & Event Solutions for our last 2 National AGM’s held on the Sunshine Coast. In both cases PES Exhibition & Event Solutions measured up the room and then made suggestions to fit our requirements. John and the team offered practical suggestions and helped to meet the needs of our event. Thanks for the professionalism you brought from beginning to end. We welcome the opportunity of working with you.